In the digital age, you want to track down your printing usage and paper consumption to save money. Despite continuous innovations to technology, printing continues to cost business owners thousands of dollars every year. When you receive key insights on your print usage and volume, it will allow you to streamline the process so that you will save more money. Many times, people accomplish this through a managed print solution. With this type of service, you can see where you are printing and make the adjustments. 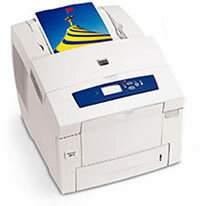 On average printing emails at an organization will turn into a 40 percent increase in paper. The Economist says that your average American worker will go through around 700 pounds of paper each year. That will translate into thousands of dollars every year. Without a dedicated personnel to managing this, you can quickly run into higher expenses. You want to do what you can to save money. With a print infrastructure to streamline your printing processes, you can save up to 30 percent. Want to learn more about increasing your savings? For more information, call today! We have the solutions your business needs.